Located on the upcountry slopes of Maui’s pristine Mt. Haleakala, this beautiful and serene retreat is tucked away from the busy tourist locations and just minutes from the great dining and shopping of Historic Makawao Town, popular attractions such as the Makawao Forest Reserve, Pi’iholo Zipline, Ali’i Lavender Garden, and Hui No’eau. A quiet 20-minute drive will take you to the sandy beaches of Paia town and epic surfing/windsurfing destination of Ho’okitpa. 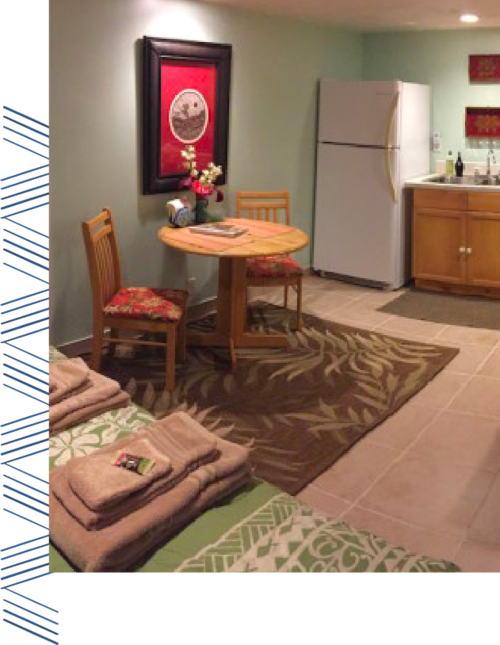 After enjoying the Days activities Ho’omana Spa Bed & Breakfast o er the ultimate relaxation in the Spa & Gardens, or on your lanai, surrounded by jasmine, guava, papaya, bananas, avocado, and native tropical flora. Take a walk around the Garden and find an array of Culinary Herbs, Fruits and Vegetables. Stargaze and let the night blooming jasmine lull you to sleep on a clean comfortable king size bed. Many of our guests have said that our comfortable beds and fresh upcountry climate have given them their best nights sleep on Maui. 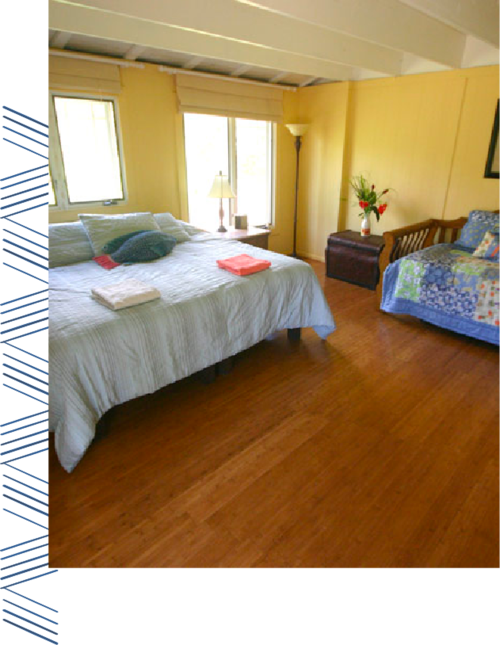 Ho’omana Spa Bed & Breakfast Makena Cottage is a spacious and comfortable, private, fully equipped, Island styled cottage set amidst two acres of aromatherapy herbal gardens, tropical fruit trees, and Native botanicals. Clean and tropical, the Makena Cottage studio floor plan features a king size bed, private bath, indoor / outdoor dining and bbq deck, and lots of windows with views of the surrounding gardens.